Injuries are a growing cause of morbidity and mortality in the world. Data from Southern Africa are limited, possibly because of limited research prioritization of the issue and pre-occupation with communicable diseases. This study was conducted to estimate the prevalence of, and assess factors associated with, selfinflicted serious injuries among in-school adolescents in Zambia. We used data collected from the 2004 Zambia Global School-Based Health Survey to estimate prevalence of self-inflicted serious injury within the past 12 months. Logistic regression analysis was conducted to assess the association between selected predictor variables and reported history of having seriously injured oneself. Out of 2,136 adolescents who participated in the Zambia 2004 Global School-based Student Health Survey, 927 (43.4%) reported seriously injuring themselves. Of these who reported injuries, 110 (11.9%) reported seriously injuring themselves on purpose. The following variables were associated with history of self inflicted injury: worry; sadness; suicidal behaviour; history of ever having been drunk and marijuana use. 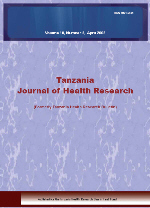 Reported history of injury and self-inflicted injury among in-school adolescents in Zambia are common. History of self-inflicted injury was associated with other lifestyle and psychological concerns among the study participants.